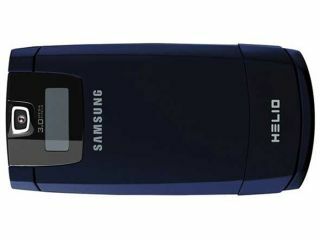 The latest Samsung handset to arrive in the US on the Helio virtual network is the rather elegant Fin. It's a very capable model that is apparently the smallest flip phone yet launched there. For $175 (£88), the 11.4mm-thick, 95g Fin brings GPS, a 2.3-inch QVGA screen, 3G EVDO data connections, a 3-megapixel camera, Bluetooth, 100MB of internal memory and a microSD slot for adding up to 4GB more. There's also a small monochrome display for indicating email and text message arrival. Most intriguing, however, is the addition to the Helio line-up of a new service operated with Garmin that adds an extra navigation layer to the standard GPS with Google Maps option. Garmin Mobile software turns the handset into something approximating a full-featured satellite navigator by adding route planning with voice navigation to tell drivers where to turn. It sounds great, but the downside is that it will cost users a hefty $3 (£1.50) a day.